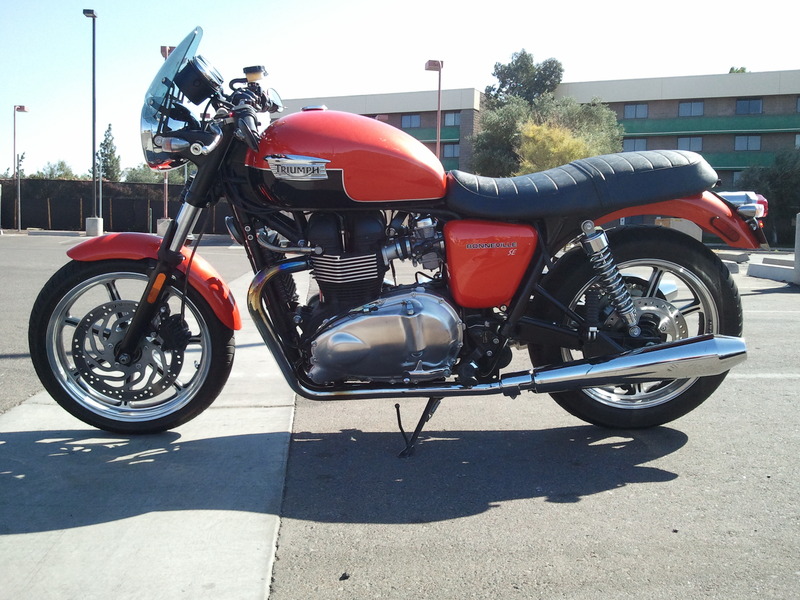 So it’s been 1 year and 2 months since I bought my 2011 Triumph Bonneville. I ride it weekdays back and forth to work – a 90-mile round trip. I have clocked over 21,000 miles since then. That round trip, thanks to the Bonnie, quickly became something I looked forward to rather than dreaded. Two weeks ago on Saturday morning I headed out for a short fun ride. I got my gear ready: helmet – check; gloves – check; boots – check; jacket – check; headphones – check; music – check. I was ready. I put the key into the ignition and turned it – all seemed normal. Normal until I thumbed the starter button and — still holding it 10 seconds later — the Bonneville said, “Sorry Rick, but we are not going for a ride today!” My brain replied, “Oh no, you’re wrong,” and told my thumb, “Hey thumb, try again!” My thumb obliged and Bonnie reiterated, “Not today, Rick!” Dang it! This can’t be happening – did I kill the battery? Let’s try to push start it. Sure that’s an option. Turn the key on; roll Bonnie into the street; engage first gear; squeeze the clutch lever and push like a maniac: pop the clutch — NOTHING. You see it sure is hard to push a 500+ bike by yourself in first gear – even while holding in the clutch. After several frustrating attempts I surrendered! The signs of addiction kicked in immediately as I eyed ‘the van’ — a great 2004 Honda Odyssey van – the type that is quite adept at transporting me, my wife, daughter(s) and grand kids around town and on trips — the van was what I was going to have to drive to work on that 90-mile round trip Monday morning. Panic ensued. My brain raced for a solution. “Hey Rick aren’t you glad now you got that motorcycle coverage on your AAA membership? !” Oh yeah, I almost forgot about that. First I called the dealer where I bought the bike – no appointments until Tuesday – whoa, can’t wait THAT long. Next, I called another dealer. “Sure, we have a 12:30 appointment open today” they said. Awesome, maybe I won’t have to drive the van to work Monday. I dipped into my wallet fumbling for the AAA membership card. Ah, there you are. 1-800-222-4357 — AAA roadside assistance. The nice lady hooked me up and after a challenging 90-minute wait, Bonnie was on the way to the dealership. We engaged the services of the van and took the grand kids to the movie. All that was on my mind was what was wrong with the Bonnie and when I would be able to pick it up after it was fixed. An hour after it was picked up I called the dealer to see if they had any questions. “Sorry Rick we don’t have your Bonnie yet.” What the heck?! Ring, ring – the tow truck operator answers, “Sorry we had to stop on the way to help a stranded customer. We’re on our way to the dealer now. Should be there in about 10 minutes.” The addiction symptoms rapidly escalated as the idea of the Bonnie not being ready today infiltrated my brain. “Stop that Brain! They’ll fix it today!” No they didn’t. After working on the bike for several hours, the technician couldn’t figure out why spark wasn’t getting to the plugs and they were closing up for the day. Aaaagghh – the van! “We’ll work on again on Tuesday. We’re wide open on Tuesday so we should be able to figure it out.” Tuesday! Yep, they are closed Sunday and Monday. That means the van is the vehicle that’ll be taking me back and forth to work at least until Wednesday. Dang it! Driving the van was pure agony. Can’t use the commuter lane (referred to as the high occupancy vehicle or HOV lane in AZ) while driving the van so I’m stuck with all the traffic and my by-bike ride of 50 minutes now becomes a 1 hour 10 minute drive – both ways — agony… when will my Bonnie be fixed I can’t take this… Hard to imagine not being able to ride the Bonnie would induce such a depression, but it did. Ah Tuesday arrived – “Things are looking up” I told myself. I’ll be riding the Bonnie tomorrow. The dealership opens at 10:00 AM, so I give them a few hours and call at 1PM. “Sorry, Rick the technician is out sick today.” You’ve got to be kidding me – don’t you know the symptoms I’m dealing with…? Drive the van on Wednesday. Thursday arrives; my optimism is in negative numbers now. I call the technician who tells me he traced everything in the electrical system and can’t find the problem. He says he filed a warranty claim for support with Triumph’s customer service and that I should call them to light a fire. I call them immediately – by now it’s 7pm at Triumph HQ in Georgia – I leave a message. First thing Thursday morning I call back, explain my situation and get nowhere. I call back the technician and tell them. They say they need to work with Triumph techs to resolve the issue. Thursday comes to an end – the Bonnie is still at the shop. I need a Bonnie fix – right now! Then there’s a slight break in the doom – she interrupts me saying, “Wait a minute, my technician just connected with them on the phone behind me. Hold on a sec.” Several, no many seconds pass. “It looks like we’re going to have to replace the entire wiring harness on your bike, Rick.” “Fine,” I say. When can it be done? “I’ll expedite the shipping — once we have the warranty claim from your dealership.” What? I thought that already happened. After another back and forth volley of calls I helped get that completed. Then of course you know what’s next. “We don’t have any overnight shipping for delivery on Saturdays,” says the Triumph customer service rep. She lowers the hammer, “And with your dealership closed on Monday, the part should arrive on Tuesday.” Tuesday; Tuesday! I can’t wait until Tuesday – aaahhhrrrghh! 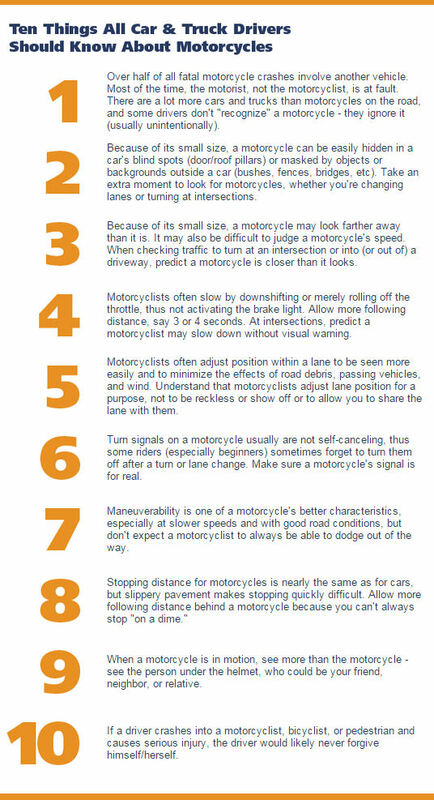 Motorcycles went by me on my way home from work – I didn’t even notice them. By now I’m numb from the withdrawal symptoms. I’ve resigned myself to believing I’ll see the Bonnie back next month sometime and settled into a sublime funk while driving home in the van. Fast forward to Tuesday – the weekend didn’t include the bike – so I won’t talk about it. I call the dealership at Noon. “Sorry Rick, the delivery guy hasn’t shown up yet.” is their reply. I call back at 4pm. “The technician’s been working on it all afternoon. We’ll know more tomorrow.” Wednesday – yikes! Wednesday I call in the late afternoon and talked to the technician. “Good news Rick, it’s fixed and she’s running great,” he says. Holy moley! The Bonnie’s ready. I wanted to use “Wonka Vision” and go there immediately to pick it up! It was my birthday, so what a great present. I was ready to join a 12-step program for motorcycle-aholics. After a great dinner with my family I picked up the Bonnie. Just sitting on her was delightful. They washed and waxed her and she was smooth and shiny. Riding the Bonnie home was pure joy – I had my fix. I was already thinking about my next ride to work on the Bonnie instead of the van. Who knew zipping along on just 2 wheels could be so much fun! So, What’s Your Take on Motorcycle Helmets?